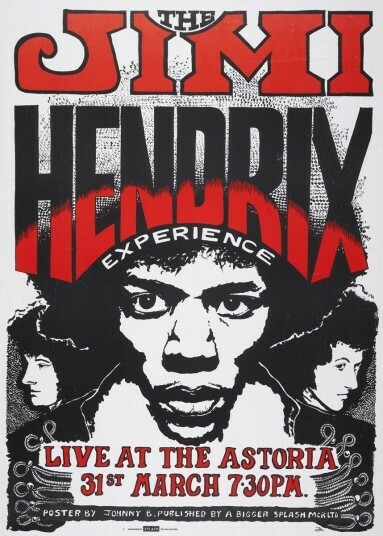 It seems that Hendrix and his entourage were looking for a new way to get attention from fans and media. 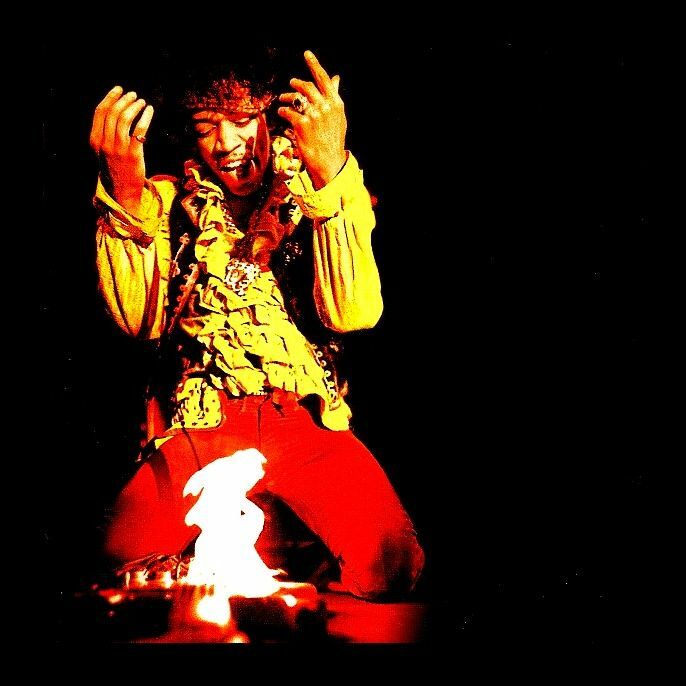 With the complicity of his manager Chas Chandler, Hendrix’s guitars carnage started during the European tour in early ’67. 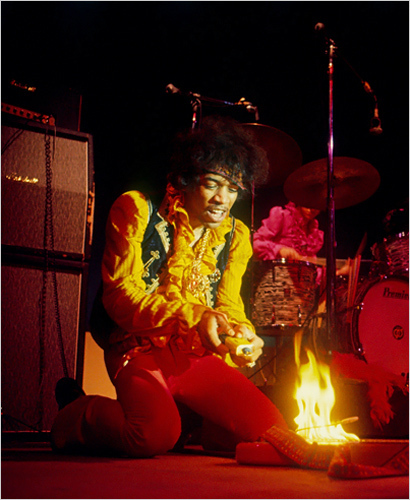 The first time that Hendrix proceeded to set his guitar on fire, a 1965 Fender Stratocaster, was in London at the Finsbury Park Astoria, on 31 March 1967 on the opening night of the Walker Brothers tour. 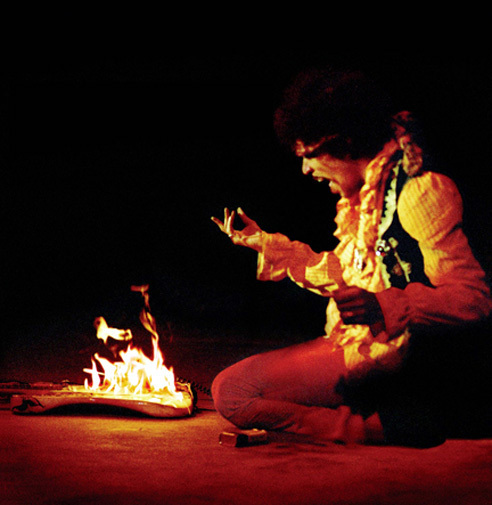 Tony Garland, Hendrix’s press officer, affirmed that he tidied up the guitar and stored it in his parents garage in Hove and there it stayed until 2007 when Garland’s nephew unearthed it. The American collector who bought the guitar, Daniel Boucher, said: “I thought I’d have to pay a little bit more for it, actually … it changed music, he raised the bar so high you couldn’t get over it. Obviously it is an investment, it couldn’t not be an investment for that amount of money, but I bought it because I like”. (source www.gizmag.com). Newspapers reported that the guitar had been sold for £280,000 (Almoust US $495,269), though Fame Bureau (which sold the guitar) reports on its web page that it has been sold for “in excess of $560,000“, which would include the traditional buyer’s premium (newspapers often ignore this aspect in reporting the price).